Our sports surgery team is committed to your child’s safety, comfort and future. When your child or teen needs surgery, where you take him matters. Find out what to expect and what to bring with you when your child or teen is having sports surgery at Children’s. 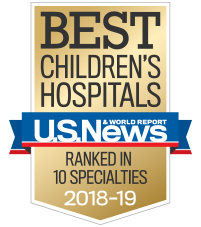 Our pediatric sports surgery team works with professionals in sports medicine, orthopedics and other specialties to treat sports injuries and conditions in children and teens. We offer surgical solutions for a wide range of injuries and conditions, as well as follow-up care. Read on to learn more about what to expect and how to prepare for your child’s surgery and recovery. Your child can wear shorts or pants based on the season. They should be loose fitting so they can be worn over bandages and braces after surgery. Bracing is often recommended after anterior cruciate ligament (ACL) repair and other surgeries to control range of motion and protect the area as it heals. 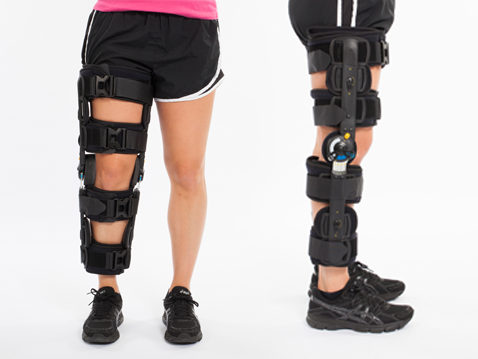 Take a look at some of the braces we use after ACL reconstruction. 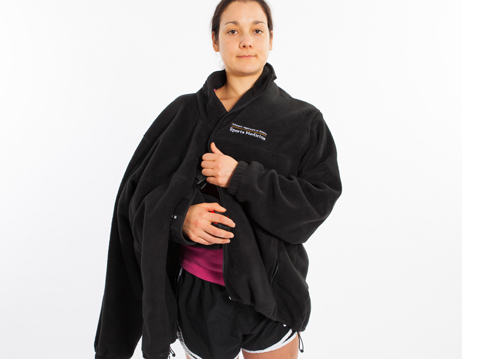 Some are bulky, which is why we encourage baggy clothing to wear after surgery. 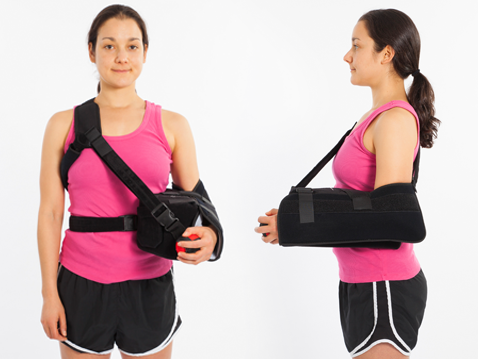 The brace used after your child’s procedure will make it difficult for him to wear form-fitting clothing. Bring loose, oversized clothing for leaving the hospital—an oversized shirt, sweatshirt, button-up shirt or zip-up jacket—the day of surgery. We also encourage girls to wear a sports bra or tube top that can be easily adjusted the day of surgery. 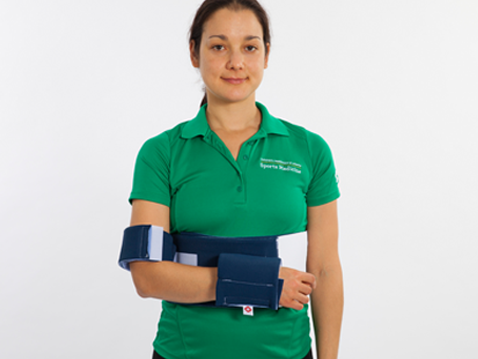 It can remain on during surgery, and underneath the brace after surgery. If your child is having surgery on the lower body, he may need crutches for a few days or weeks after surgery. The surgery center does not supply crutches, but you can buy them from the pharmacy located on the first floor of the Meridian Mark Plaza building. Check with your insurance to find out whether the cost of crutches is reimbursed. If you would like us to show your child how to use crutches properly, bring the crutches with you on the day of surgery. We welcome donations of used equipment from Children’s that is no longer needed, if it is clean and in good condition. 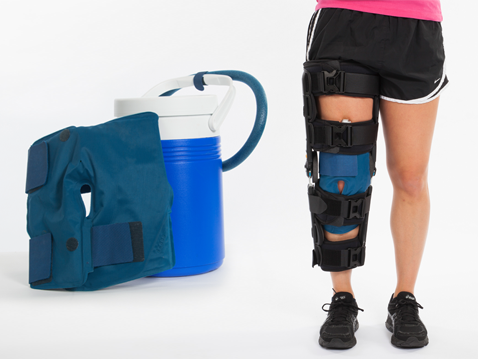 We may be able to reuse knee immobilizers, shoulder braces, cold-therapy devices, and other orthotics or equipment. Because our sports surgeons are pediatric specialists, we are familiar with common childhood sports injuries and how to treat them in children and teens. Kids and teens are still growing and developing up to age 21, so it's important to see doctors who focus solely on pediatrics. We make every effort to get your child safely back in the game when possible, and to preserve functioning and prevent complications that could threaten your child’s future.